Ruth Deckman Obituary - Lewistown, Pennsylvania - Burg Funeral Home, Inc. 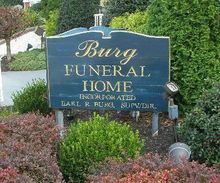 Profile of Burg Funeral Home, Inc. Your inquiry has been forwarded to Burg Funeral Home, Inc..
Ruth M. (McCleary) Deckman of Lewistown, entered into rest on Sunday, December 31, 2017 at 6:25 pm at OHesson Manor Nursing Home at the age of 83. She was the wife of the late Charles L. Deckman, Sr. who died on October 13, 1997. She was born in Lower Windsor Township on May 8, 1934 and was the daughter of the late Charles F. and Mary J. (Fisher) McCleary. She was a homemaker and enjoyed cooking and baking, she was especially good at making homemade peanut butter eggs. She is survived by her seven children, Fred A. McCleary of Dallas, PA, Doris I. Deckman and her companion Martin Smith , Rose M. Deckman, Charlotte L. Lepley (James), Charles L. Deckman, Jr. all of Lewistown, Helen A. Deckman of York and Shirley J. Creary ( Mathew) of Gettysburg. Nineteen grandchildren, twenty-four great grandchildren and two great great grandchildren. She was one of twelve children, Dale Fisher and Richard McCleary both of Red Lion, Jane Smeltzer of East Prospect, Mary Fae Lewis of Allentown, Jesse McCleary and Janet Freed both of York, Sue Lightner of Dallastown and John McCleary of CA. , along with numerous nieces and nephews. She was preceded in death by three sisters, Norma ,Thelma and Alice and two babies at birth. Viewing will be on Thursday, January 4th from 9-10 am at Burg Funeral Home, Inc., 134 W. Broadway, Red Lion. A Service of Honor and Praise for Ruth will begin at 10 am at the funeral home. Rev. David D. Tietje, pastor of St. John's United Church of Christ in Red Lion will officiate. Burial will be private and will take place at Springville Cemetery . In lieu of flowers, contributions may be offered to the National Kidney Foundation of Central PA, 900 S Arlington Ave., Suite 134A, Harrisburg, PA 17109. Ruth was a loving mother and grandmother who cherished her family and time spent with them. She will be greatly missed by all who knew and loved her. My sincere condolences to all of Ruth's family. 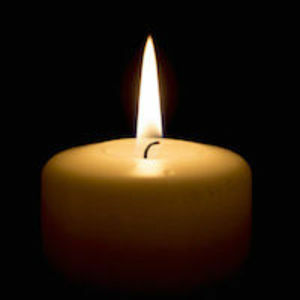 May God's loving grace and the support of family & friends bring you comfort in the days ahead.